The new Volvo V60 Estate looks much better than previous attempts by the Swedish brand at estate cars. The boxy look has been replaced by a much more modern design language so that the V60 can offer both substance and style, while competing with its fashionable rivals. Substance is plentiful. There is a lot of safety kit on offer, rafters of interior space, and build quality is second to none. And, as ever with a Volvo, it’s also reliable. 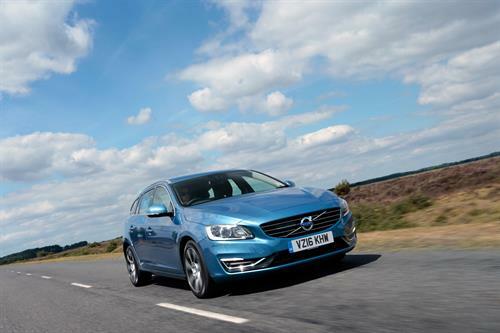 OSV takes a closer look at what it’s all about with our Volvo V60 Estate review. The new car struggles with an old design that contributes to more weight than you’d ideally want. It also means the suspension is too firm, and causes more body lean in bends than its rivals. Moreover, the V60 Estate just isn’t as much fun to drive as some rivals, especially the BMW 3 Series Touring. It does inspire confidence with how safe it is, though, and there is lots of grip. Thanks to predictable handling, you also won’t have to worry about losing control. It’s well-suited to the motorway, where it barely makes a peep. The seats are comfortable, which make longer journeys pleasant. There are plenty of engines to choose from, with a D4 diesel getting things started. It delivers up to 187bhp, and can get you from rest to 62mph in 7.7 seconds. It’s arguably the best Volvo Estate diesel engine in the range, saving you more money at the pumps than the D2 while also going faster. The D4 comes paired up with a manual transmission as standard, but the 8-speed automatic, which will cost you an extra £1,550, is worth the cash. It’s smoother and more responsive, and complements the car much better. There are two petrol engines available – a 326bhp PoleStar, and a less powerful T4 that delivers up to 187bhp. The T4 doesn’t make much sense if you’re a high mileage driver, while the PoleStar is absolutely rapid. It can get you from a standstill to 62mph in a swift 4.8 seconds, and benefits from four-wheel-drive and the automatic gearbox (which comes as standard). Moreover, it lets you modify its suspension setup so that you can make it as stiff or as soft as you like (within reasonable limits). There is also a pair of hybrid options available, but they cost much more than our preferred D4. The D6 plug-in hybrid is, however, cheaper to run, free from the London Congestion Charge, and does 0-62mph in 6.0 seconds. It’s much the same with the D5 plug-in hybrid, though it takes almost a second longer to cover 0-62mph. The Volvo V60 is one of the most comfortable cars in this class. The seats are super supportive, ensuring that there should be no aches and pains even after the longer journeys. The driver’s seat is height adjustable, while the steering wheel is easy to use and moves for reach and rake. The cabin is also well-insulate, with only the most minimal of noise getting inside. It’s just such a shame that the suspension is so stiff. The PoleStar is your best bet if you want softer suspension, as you benefit from tailor-made dampers. The dash is stylish and distinctive, but draws parallels with premium models in the range by virtue of it being so classy. The floating centre console is a nice touch, though the 7.0” sat nav display may be a tad too small for some of you. However, it’s easy to use. Standard kit across the range is generous. The entry level Business Edition model gets Bluetooth phone connectivity, DAB digital radio, cruise and climate control, as well as 16” alloys. The SE model comes with 17” alloys, LED lights and automatic folding door mirrors, while the SE LUX affords you a leather interior, powerful xenon headlights, and a power-adjustable driver’s seat. The R-Design model adds 18” alloys and sports seats, while the R-Design LUX is the sportiest in the range. Prices for the new car start out from around £23,600 and rise to £35,600. If you prefer to lease, you can pick up a deal from just £250 + plus VAT per month. 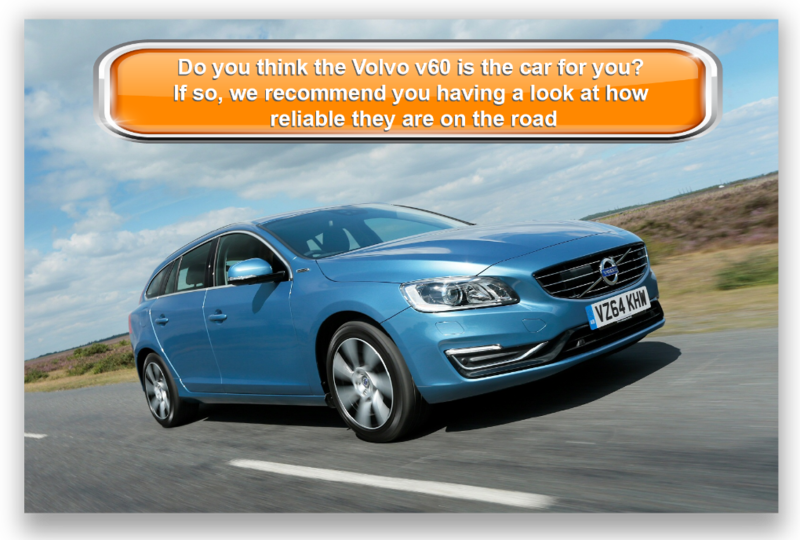 For more information on our Volvo Estate lease deals, you can check out our page here. Running costs have for a long time been one of Volvo’s secret weapons, and that largely remains the case here. But although the hybrid version returns the outstanding fuel economy in the range (155mpg), we prefer the diesel D4 model. It can return fuel economy up to 70mpg and costs just £20 a year to tax. The D2 is cheaper still, both to buy and run. It can average returns of 76mpg, and won’t cost you a penny in road tax. The petrols are much less forgiving, with the excellent 2.0-litre turbo engine managing to return less than 40mpg at best. A Volvo Estate has never looked this eye-catching before. We like the raised rear end and the steeply raked rear and front windscreens in particular. The super-efficient hybrid not withstanding, the V60 is remarkably cheap to run – provided you overlook the petrol engines, of course. There is plenty of safety kit available as standard with the new car. This includes automatic emergency braking, electronic stability control and the brands Adaptive Brake Lights. It’s heavy and there is a plenty of body tool. A lack of steering feels further removes you from getting too involved. Everything about the interior adds up to a pleasant place to be – but the stiff suspension lets the side down. Let’s see how the car fares against its rivals in the comparison section of our Volvo V60 Estate review. As practical family cars go, the new Skoda Octavia Estate is tough to beat. It’s as expansive inside as a small universe, and it’s also cheap to run. Like the V60, the Octavia Estate isn’t what you’d call fun to drive. It is, however, relaxing and quiet. The suspension is a bit firmer than we’d like, and it doesn’t get the blend right between driving enjoyment and comfort. The reason the suspension is setup so firm is so that it can cope with heavier loads. The petrol engines are all reasonably performative. The standout choice is the VRS Estate, which drives like the VW Golf GTI, but adds more practicality. But even the basic 1.0-litre TSI petrol engine offers good performance, thrusting you from a rest to 62mph in just 10.0 seconds. It’s not expensive to run either, and can average fuel economy returns of 62.8mpg. A 1.4-litre TSI petrol is quicker, and does the 0-62mph dash in 8.2 seconds, while returning 55.4mpg at best. The cheapest model to run is by far the GreenLine III. Powered by a 1.6-litre diesel engine, it can achieve fuel economy of 80.7mpg. It’s still got a decent amount of performance to offer too, and can get you from a standstill to 62mph in 10.7 seconds. The 2.0-litre 148bhp is quicker, and does the same distance in 8.5 seconds. Less comfortable than the Octavia Hatchback due to the firm suspension setup, the Skoda Estate’s interior is functional and easy to use. Everything is clearly laid out on the dashboard, and Skoda have paid a lot of close attention to detail. Interior surfaces are mostly pleasing to touch, and the cabin feels a lot more upmarket than ones found in the likes of the Focus Estate. But it’s practicality where this car truly excels. The 610-litre boot is the third biggest in this class, and this can be extended to 1,740-litres. You might prefer to have the biggest boot in the class, but no one can rival the Skoda when it comes to being the quintessential all-rounder. The boot comes with a false floor that will come in handy from time to time, you are literally swamped in space, while storage cubbies are everywhere. This is also a very good tow car – it’s capable of towing weight up to 2,000kg if you select the right engine and go for four-wheel-drive. 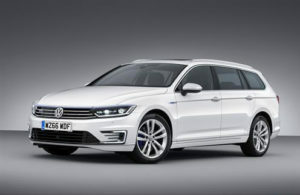 The new Volkswagen Passat Estate is, like the Skoda, a bit of an all-rounder that is refined, classy and practical. And like the Skoda and the Volvo, the Passat Estate 2017 is not going to set your world alight on the road. Its driving experience is more “middle of the road” than anything else, but it is more entertaining to drive than it’s ever been – thanks largely to the fact that it’s now based on the Audi A3. It also weighs less, which bodes well. As usual, petrol engines are missing from the Passat range. Things kick off with the entry-level 1.6-litre TDI unit which will probably be more than enough for most of you. However, a more expensive 2.0-litre 148bhp TDI diesel is proving to be the most popular. It’s got plenty of shove, and can get you from a standstill to 62mph in 8.9 seconds before maxing out at 135mph. Performance is good, and it gets most of its power from mid-range revs. The fastest model in the range is a BiTDI model which delivers up to 237bhp and can gun you and your luggage from rest to 62 in 6.3 seconds. You can’t get it with a manual transmission, and its rather staggering performance is probably useless on British roads. There is also a hybrid model available, which is where you will find a petrol engine – a 1.4-litre unit that is turbocharged and can deliver 154bhp. It’s pretty good and makes financial sense for high mileage drivers – fuel economy returns of 175mpg are not to be sniffed at. It’s also free to tax. 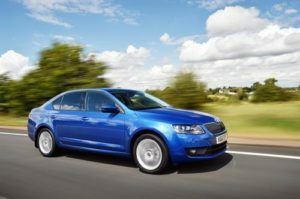 However, none of the diesel engines are expensive to run, with the 1.6-litre BlueMotion unit good for returns of 74mpg. Indoors, the Passat is a nice place to be – it’s both luxurious and practical. Standard equipment is good – it’s shared with the Audi A3, so you can’t really go wrong on this front. Overall cabin quality, meanwhile, is just so much better than last time. Top notch plastics and soft leather seats are highlights. The 650-litre boot is bigger than last time and holds onto its place as the second biggest in this sector. It’s a source of frustration that the rear seats can’t be folded totally flat, but we’re sure this won’t be a deal breaker for most buyers. Despite shrinking on the outside, the VW Passat Estate has got bigger inside. Add to this some clever packaging by VW themselves, and interior space is very good. knee and headroom is good upfront and in the back, the rear does open wide for easy access, though a criticism would be that there could be more – and better – storage spaces. The new V60 is a 3-star car at best. 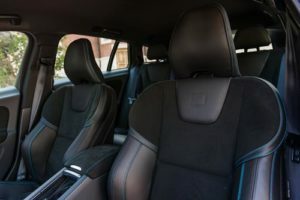 It’s better looking than before and remarkably cheap to run, but the Swedish brand have given up some of its interior space for the sake of style. Moreover, the cabin is beginning to look very dated. Still, a Volvo is a Volvo. And the new Volvo V60 Estate is dependable, efficient, safe and predictable – just as we like it!